Life on the Ranch: I'm BACK finally! Well, obviously I took a long break from posting on this blog. As usual, life has been a whirlwind. I'm still here at the ranch, doing the goats and other animals, most of my kids still live here with me and the hubby. Although, they are growing up fast. The twins will be ten in just a few days and I'll be the BIG 50! Hard to believe that I'll be "half a century" old, as some of my younger friends remind me! In just a few weeks, the goats will start having kids again, which means we'll be back in the milk - woohoo! I've been missing that delicious goat milk. Thankfully, we have been able to get some raw cow milk from the neighbor, just recently. In the picture below you can see one of our older does (Prissy, the brown one) that we've had for 9 years. 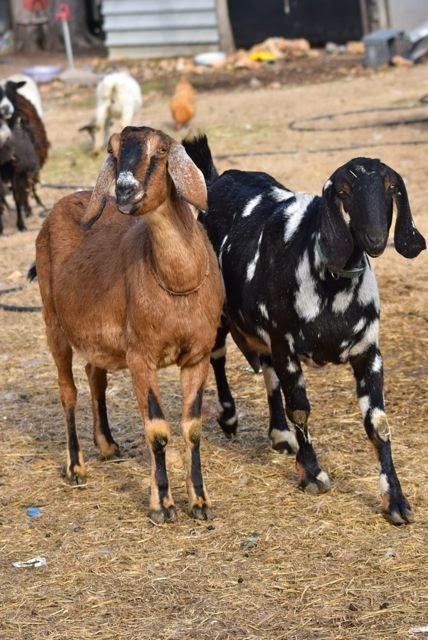 Next to her is Wheezee, one of our spotted Nubians - Oh, I am so looking forward to seeing what kind of spotted kids we might get this year. 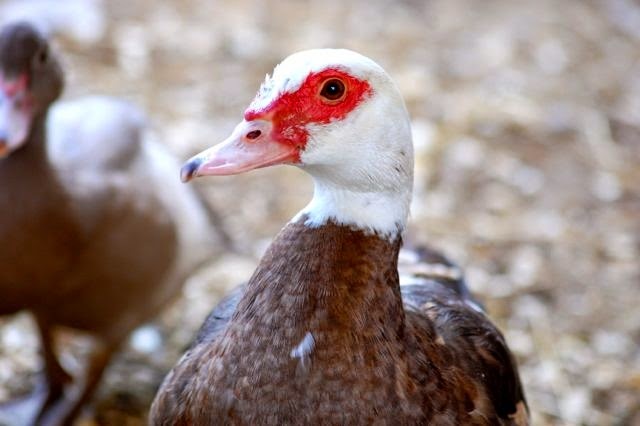 The Muscovey ducks are a big part of our ranch also as we now have probably a hundred of them wandering around here . . . maybe even more than that! Last year I wrote a few articles for a website called Right Pet . I wrote a total of 8 articles, each article focusing on a different farm animal. Here is the one I wrote about Muscovies - Muscovey Ducks for Meat, Eggs, Bug Control & Beauty. And, here is one I wrote called, Guineas for Tick Control and . . . Noise. What else? Well, being the 50 year old that I am (okay, so I have 3 days until I am), I have been having my "menopausal moments" . . . eek - emotions, crying because I am happy, crying because I am sad, crying because, um, I don't know why. Well, I hope to put together a few posts over this year about natural remedies in dealing with all the symptoms and problems of this wonderful time of life! I would also like to finish a series of pictures books I have on my computer called, The Self Sufficient Lifestyle Series. I am designing these books to have LOTS of pictures in them. Some of the them will cover how to butcher various animals, how to make certain foods on the farm and whatever other ideas I can think of. Plus, I hope to have a few of my daughters get our YouTube channel going better. We have some videos up on it now - you can check it out here - Oklahoma Ranch Life. Well, that's just a few of my ideas . . . we'll see what comes to pass!